Rodents are mammals which have two front teeth growing continuously in their upper and lower jaws. They have to keep them short by always biting things. These teeth are useful for biting because they cut sharply. They use the sharp teeth to bite the wood, break their food and bite any predators that attack them. The teeth have enamel on the outside and exposed dentine on the inside. The teeth is special because they sharpen by themselves as they are used. Rodents do not have fangs like dogs and cats. One quarter of mammal species are rodents. There are about 2277 species of rodents. They are found in great numbers on all continents except for Antarctica. You can find them in all habitats except in the oceans. The most common rodents are mice and rats. Some other rodents are squirrels, porcupines, beavers, chipmunks, guinea pigs and voles. Most rodents eat seeds and plants. There are some which eat insects or fish. Some squirrels even eat birds like cardinals and blue jays. Some rodents are pests because they eat seeds we store for our own food and worst of all they spread diseases. Rodents are the only non-flying, non-marine placental mammal to reach Australia without human introduction. About 25% of the mammal species in Australia are rodents. Most rodents are small. The African Pygmy mouse is only 6 centimetres (2.4 inches) long, and 7 grams (0.3 oz) in weight when they grow up! On the other hand, the Capybara is really heavy. It weighs 80 kilograms (175 lb). The largest ever rodent, Josephoartigasia Monesi weighed between 1 to 2.5 tons! 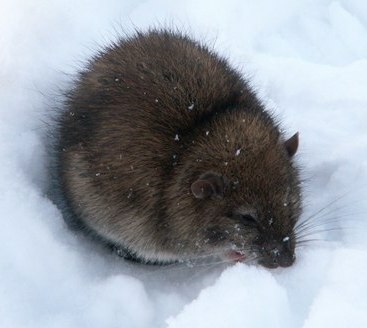 Rodents are important in many ecosystems because they are small and reproduce quickly. Therefore, they become an important food source for many predators. They also help to spread the seeds they eat. People hunt rodents for fur and to eliminate them as pests. They are also used as pets, for scientific research, animal testing, for food and even for locating landmines!